Russia and China today vetoed a UN resolution to impose sanctions on Syria over chemical weapons use during the war. The measure drafted by Britain, France and the US won nine votes in favour at the Security Council while three countries opposed it- China, Russia and Bolivia. Kazakhstan, Ethiopia and Egypt are the countries that abstained from voting. UN resolutions require nine positive votes and no veto to be adopted. It was the seventh time that Russia, Syria’s top military ally, has used its veto power to shield the Damascus regime. China, also one of the five veto-wielding permanent members of the Security Council, has joined Russia in vetoing six resolutions on Syria. Russian President Vladimir Putin had warned that imposing sanctions on Syria during ongoing peace talks in Geneva was completely inappropriate and would undermine the effort to end Syria’s nearly six-year war. 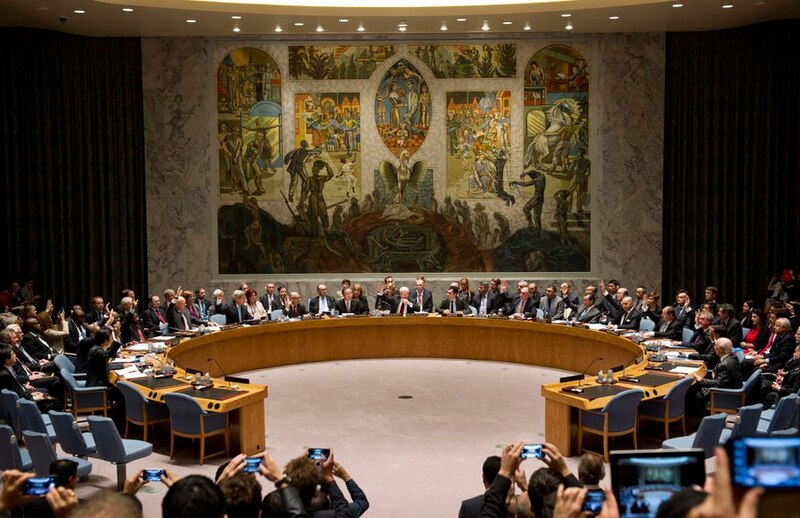 Russia and China are both permanent members of the UN Security Council. France, the UK and the US complete the five-nation lineup. Another 10 nations are non-permanent members, elected for two-year terms by the 193 states that are members of the UN’s general assembly.